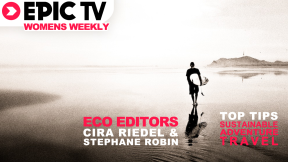 EpicTV Women's Weekly 14: Going Green! 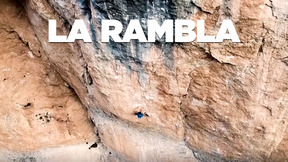 To start the week we’ve got the highlights from Red Bull’s recent event called Creepers, which took place in Spain, between the towns of Pamplona and Estella. It’s a deep water soloing competition but with a twist – it takes place on a bridge in Puente La Reina that forms part of the Camino de Santiago pilgrimage to the shrine of the apostle St James the Great in nearby Galicia. Over 400 pilgrims cross the bridge most days but the crowd was considerably bigger for the Creepers, with people crammed in all over the bridge, the riverbank and in various boats. 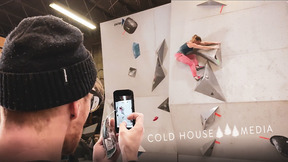 Their excitement was understandable though because the field of competitors was staggering, with Chris Sharma, Dave Graham, Nalle Hukkataival, Daniel Woods and Rustam Gelmanov amongst the 14 competitors. Identical routes were set on either side of the bridge so that 2 athletes could climb at the same time, giving the crowd some awesome viewing. 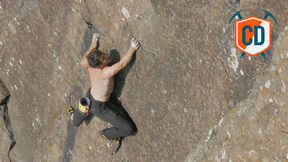 In the end it was Chris Sharma who came out on top and he proved a popular winner, ahead of Daniel Woods in second and Nalle Hukkatavial in third.